The Riser Bait 009PS by Jackall features the same fish catching actions as the original but now in a slightly larger size. These baits are designed with a unique, upward angled lip that keeps them up in the water column and around the surface to cause a commotion hungry fish cannot ignore. A cupped mouth and gill slits provide an appealing bubble trail as the lure skitters and darts across the water's surface. This larger size also allows for ease in casting so anglers whom are favoring of casting gear can use this bait comfortably. 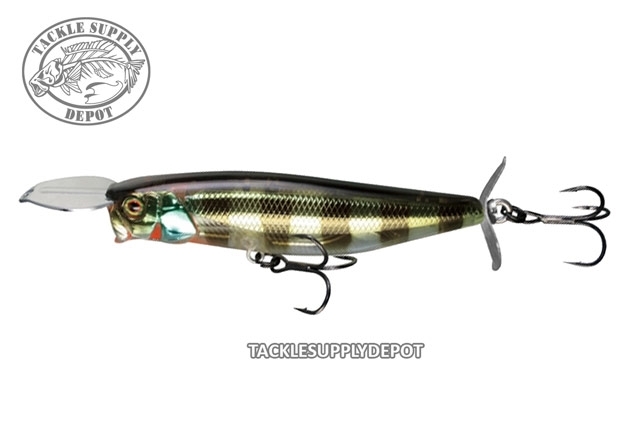 The Jackall Riser Bait 085SP will become any topwater fanatics new favorite bait. Jackall Binksy Jackall Kaera Frog Jackall Gavacho Frog Jackall Mikey Jr.